Click here to Contact us with questions? Through our travels we constantly run across products that are not easily available in the US market. One group of products we have used for years are the LUBRO MOLY oil and lubricants. The Vollesynthese and Touring line of oils, the diesel additives and the brake fluid products are unmatched in quality. We All punish our equipment and need the finest products available to protect our investment. These products do the job, and if you are into extended drain periods to Cut down on maintance costs, these products are made for you! There is a reason BMW, Mercedes, Porsche and many others use Lubro-Moly products in their vehicles! Lovers of the outdoors are rough on their equipment, our trucks, boats, four wheelers and cars gets lots of abuse. Volle Synthese LubroMoly products protect where other products fail! We are also featuring a few products that relate to GM Duramax diesels as well as Allison Transmissions. The outdoorsman has to have his truck! Top-quality, state-of-the-art, low-friction motor oil for use all year round. The combination of unconventional basic oils using synthetic technology, together with the latest additive technology, guarantee a motor oil that provides exceptional protection against wear and reduces oil and fuel consumption, while ensuring that the engine is immediately supplied with oil. Especially suitable where there are long intervals between oil changes and heavy duty engine requirements. Long engine service life due to exceptional protection against wear. Premium lubrication reliability at high and low temperatures. High shear and ageing stability.- Reduces fuel consumption and pollutant emissions.- Outstanding engine cleanliness.- Tested with catalytic converters and performance proven with turbochargers.- Mixable and compatible with commercially available motor oils. Synthetic Technology, Saves Fuel, provides instant lubrication after a cold start. Optimum for modern gas and diesel engines with multi-valve technology and turbocharging with and without charge air cooling. Especially suitable where there are long intervals between oil changes and heavy duty engine requirements. Fully synthetic engine-oil additive. Significantly reduces wear. High-pressure antiwear additive forms a very thin layer on friction pairs inside the engine. The layer has ductile and lubricating properties and is effective for at least 50,000 km. * Optimum engine performance and quieter running. Operational area: The product is added to the fresh oil AFTER oil changes. 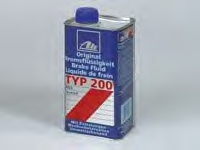 500 ml is sufficient for up to 5 litres of engine oil. Even adding the product to special low friction fully-synthetic energy-conserving oils reduces wear by a further approx. 35%. With longterm effect for 50,000 km (keep to the oilchange intervals stipulated by the manufacturer). 500 ml size. MoS2 Anti-Friction is a colloidal, molybdenum sulphide (MoS2) based solid lubricant suspended in mineral oil stabilized by a special preparation process and formulated for use in vehicle engines (gas and diesel). Miscible and fully compatable with all commercially available engine oils. (mineral oils, partially and fully synthetic oils). Forms a friction and wear reducing Moly film on all sliding surfaces of the engine. The engine runs smoother, quieter, cooler, more reliably. Provides an extra measure of protection under extreme operating conditions, e.g. extreme temperatures, engine overheating under high loads, loss of oil, etc. Miscible with all motor oils. Up to 50% less engine wear. reduces oil and fuel consumption. Longer engine life. Safeguards against break downs and repairs. Smoother more pleasant engine operation. Added to the lubricating oils of engines, compressores, pumps and expecially motor vehicle engines (gas and diesel). Mixes with all commercially available engine oils. Add 5% (50 Ml per litre of oil) MoS2Anti Friction to engine oil. Can be added to engine oil at any time. One can treats up to 1.5 gal (6 liter) of oil. Operational area: Diesel Hi-Test now contains a lubricity additive against excessive fuel pump and injector wear with low-sulpher diesel fuels. Thus environmentally imporved operation is achieved without the problem of excessive wear and maintenance. For best results, add regulary to fuel. One can treats up to 20 gal. of diesel. Diesel Purge removes deposits from injectors and the pistons/combustion chamber. Eliminates engine-running problems. No more knocking under partial load -- smoother idling and softer engine running. Cleaner injectors produce optimum engine running. Cleans the whole fuel system. Protects against corrosion. Guarantees good combustion, increased economy and operational reliability. Operational area: Suitable for helping to solve problems in all Diesel engines. Removes deposits from mechanically and electronically controlled injector nozzles and other components of the fuel system. Prevents nozzle needles from sticking and gumming up. For all diesel powered vehicles including those with common rail and pump nozzle injection systmes. Use with JetClean machines or directly from can via the fuel inake line. This is not a fuel tank additive, but a fuel system purge to be used with proper equipment. Multipurpose gear oil with wide viscosity range. Promotes easier gear changing and quieter running. For manual transmissions, modern transaxles and axle drives. With outstanding protection against wear and corrosion. Guarantees a considerable reduction in noise. Operational area: For highload manual and auxiliary trans-missions, particularly modern transaxlesystems and axle drives. Factory and Manufacturer Supplied Trans fluid Formulated for the Allison automatic transmission. Synthetic fluid TranSynd meets the Allison spec TEC-295 (AN-011001) for severe duty and extended oil drail intervals. Meets Allison C4-27403598 specifications. If you have a Allison Transmission, this is your fluid! Copyright © 1999-2014 David's Collectibles. The names Tickbite Supply Company, Tickbite Tactical, Tickbite Optics as well as all material on this site is the exclusive property of David's Collectibles and cannot be used in any form. E-mail davistarr@aol.com for permission to use the material in any form.